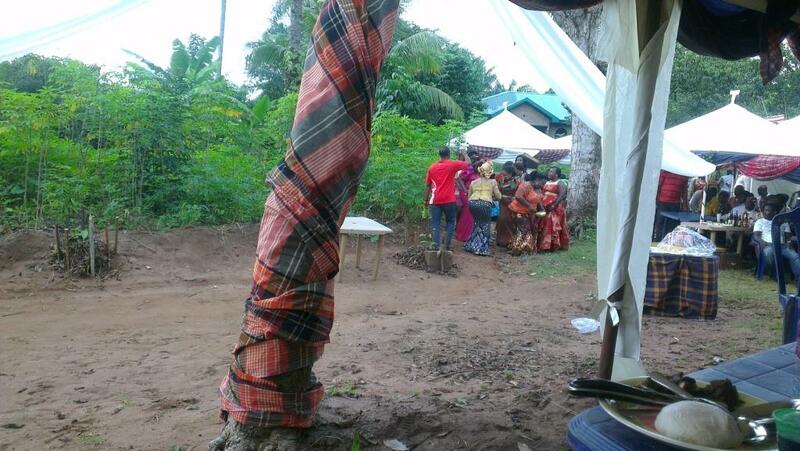 So I arrive at this traditional Igbo wedding last Friday, and modernity, that evil Rousseau warned us all of, has reduced the mounds to wraps (in polyethylene). Foo-foo eating has become personal, eschewing the communal effort at Umofia. Maybe that is the bane of all ills in society. Maybe, you think am joking? No I am not. If the Jews can raise a hullabaloo over the spelling of the food Knaidel, maybe I can pontificate on the cause of the ills of Nigerian society. An African traditional wedding is not the right place to theorize. The music is loud – pretty loud tunes of high life and Afro Pop, and the dancing is vigorous, styled after whatever is the latest step in the dance clubs. But the colours…vigorous, variegated and va va voom. Very few sights are as rich as middle class Nigerian women decked out in aso ebi – read George, Ankarra and the other funnily named but beautiful Dutch Wax prints that have become more African than its origins. Igbo Weddings are dramatic. And not only because of the hip swaying and money spraying that goes on, but the theatrical and sometimes fractious negotiating which goes on with the men before the bride is handed over. The bargaining – best seen with your own eyes – is over the exact number of yam tubers or kegs of palm wine, the quantity of stock fish and right amount of tobacco powder. Since stock fish (dried cod) and tobacco came with the Europeans, one wonders at what point such items sneaked into the ‘traditional’ marriage rites. Just like asking, how did Okonkwo get the gun that cost him the Ogbuefi title? This entry was tagged Achebe, Asiwaju, Igbo, Soyinka, wedding. Bookmark the permalink.